Re: rainbowgardener 2017 spring planting! Ten days later and we have gone from night time lows in the low 20's to night time lows in the mid 50's! So given that there is no night time low below 50 deg F in the ten day forecast (which gets us into April and well past average last frost date) today I planted tomato plants, pepper plants, and basil plants! (As well as more broccoli, kale, cabbage). I have to confess, these were started transplants I bought from a good local nursery. I am starting lots more things from seed in the ground in my new climate, but this year I just never got the lights going for indoor stuff. Didn't have good results last year with the LED lights I bought and I never got around to re-doing my set up, what with building the stone raised bed, re-doing the deck and what not. Next year I will go back to growing my own. Sometime in the next week, I will plant corn seeds in the ground! 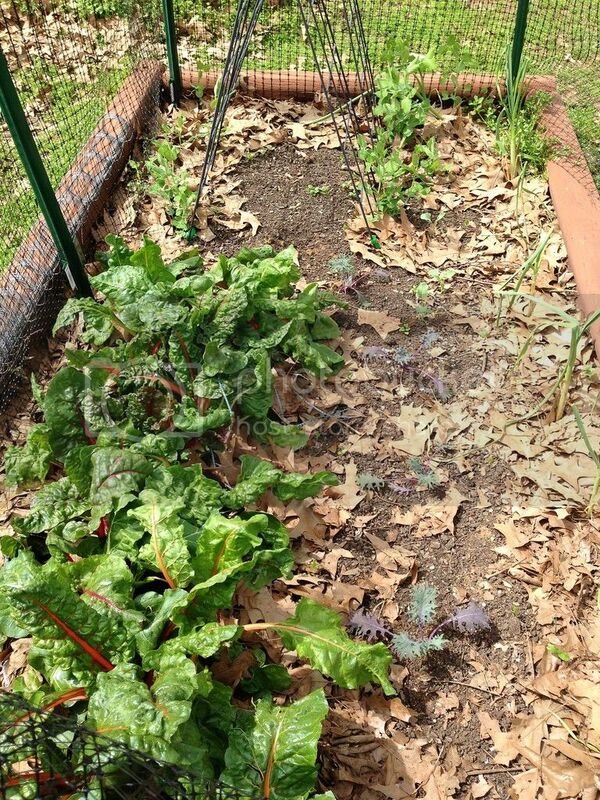 swiss chard, then peas, kale and broccoli on the right and then garlic. 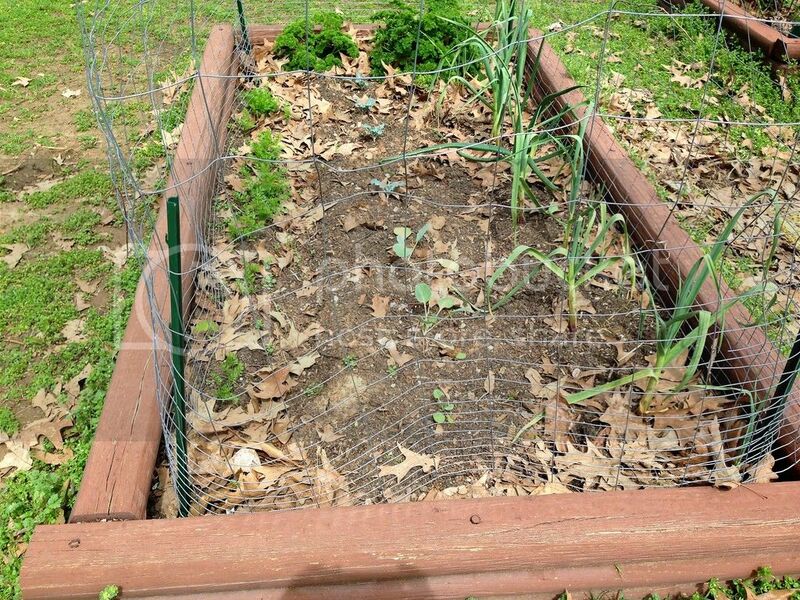 The small, square one in the middle has corn seeds planted in it, that haven't sprouted yet. 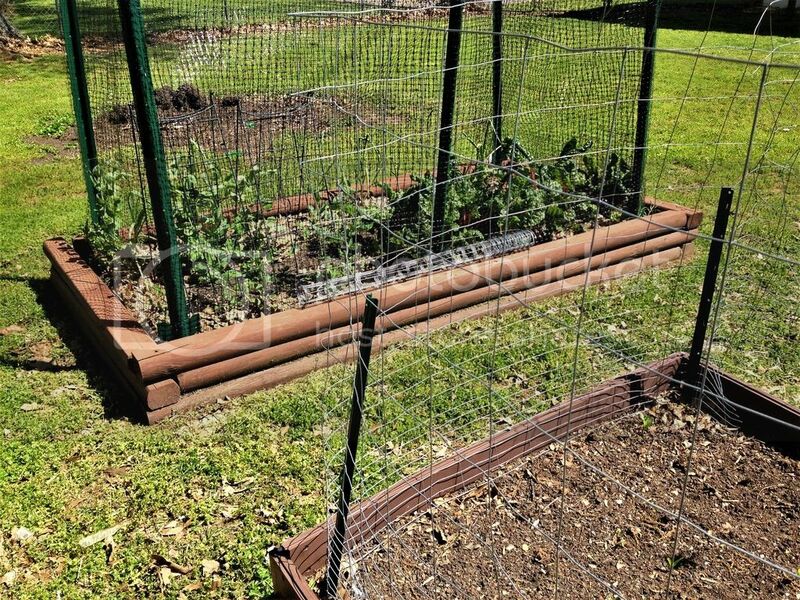 The last picture that has pea trellis in the back. That half of the 4x8 will be done early and then the second planting of corn will go in there. 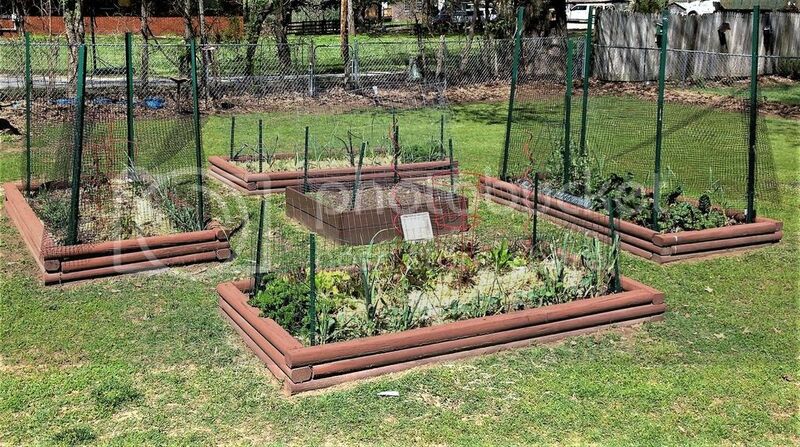 The next quarter circle garden will be done soon and then will get planted with more peppers, basil, squash. 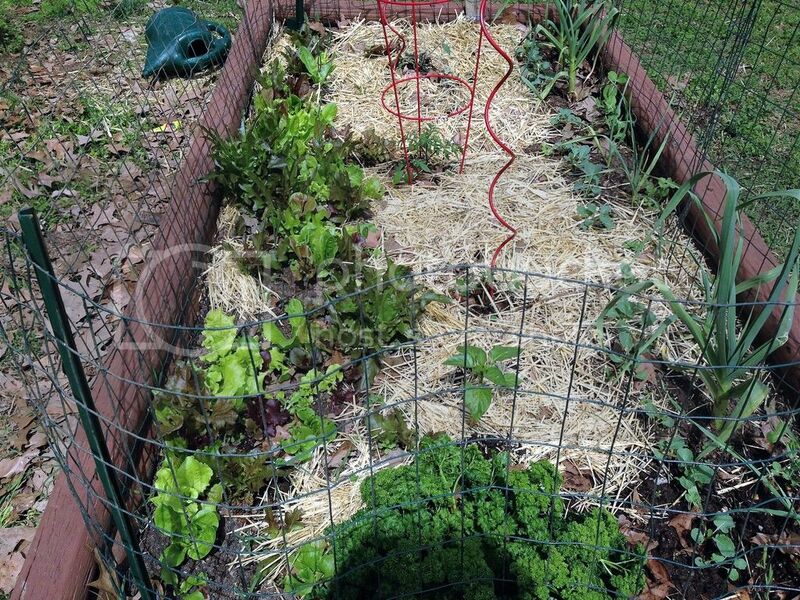 The mulch in the top pictures is used straw raked out of the chicken coop/run. It has very little chicken poop in it, because they mostly poop while on the roosting bars. The tray under the bars has lots of poop and it gets emptied into the compost pile. 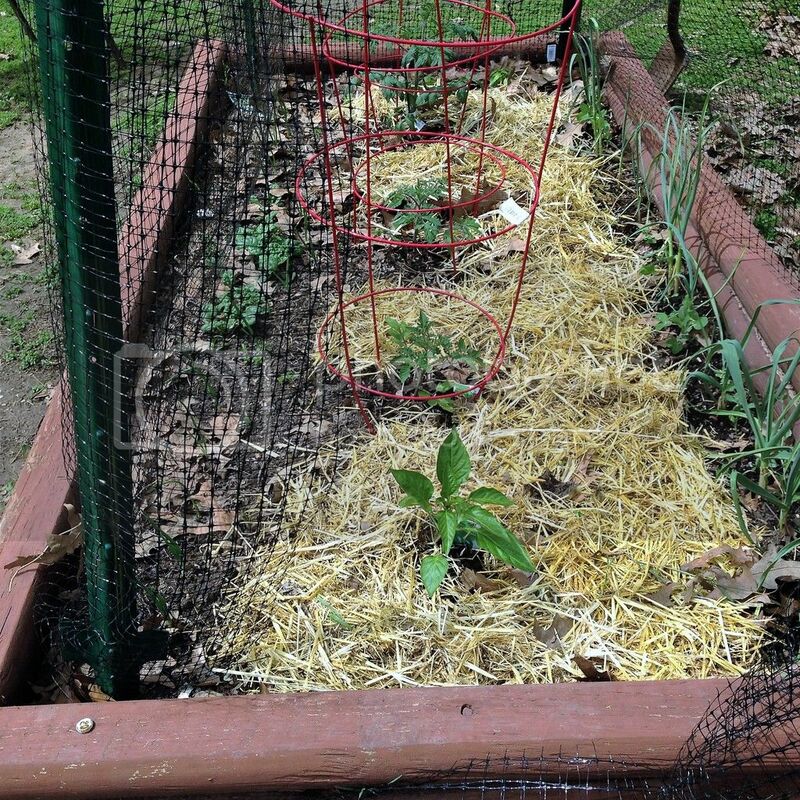 The straw in the run is inoculated with Nitrogen (chicken pee) to help it break down. So as it is raked out, it goes in the gardens. Eventually they will all be mulched that way and probably covered with pulled weeds for more green. Barely visible are some corn seedlings! You sir, are an inspiration to us all, looking good! 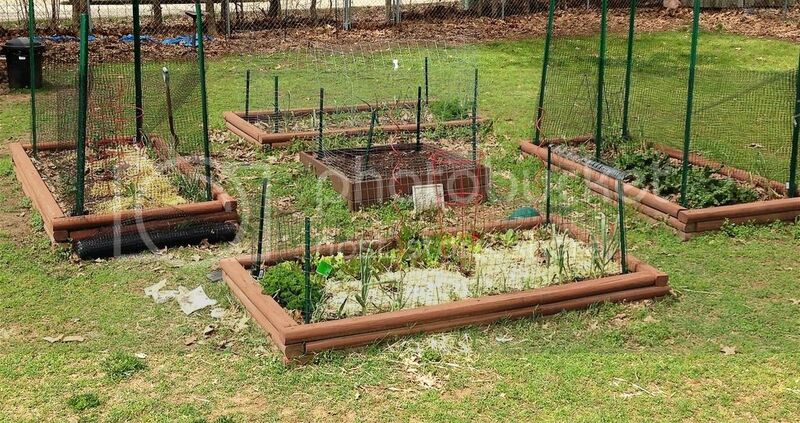 What is that green stuff around the outside and in between the beds? Great job Rainbow. You've done a lot with the place since you moved in. 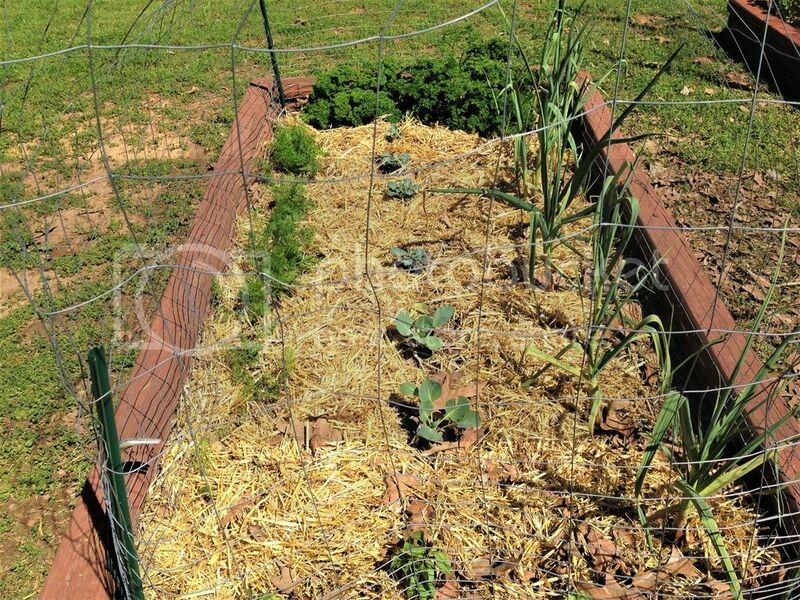 What has changed in the way you have been gardening since you moved? SQWIB wrote: You sir, are an inspiration to us all, looking good! It is our miserable excuse for lawn. Our lawn was already more weeds than grass. Then we had terrible heat and drought for months last year. Since I refuse to water lawn, mostly the weeds survived. imafan26 wrote: Great job Rainbow. You've done a lot with the place since you moved in. What has changed in the way you have been gardening since you moved?